Today we have prepared for you a new drawing lesson, in which we are going to show and tell you how to draw a fruit. As you can see it will be a drawing guide about how to draw avocado. Our readers and subscribers in social networks often asked us to draw this fruit, because avocado is a great addition to any still life. The first step is clearly not a surprise. Here we draw the contours of avocado. As you can see, this looks like a cross between a pear and a light bulb. With very light hand movements, we need to draw avocado outlines in the form of such a simple sketch. Now we add a small circle which is located on the top of the avocado. 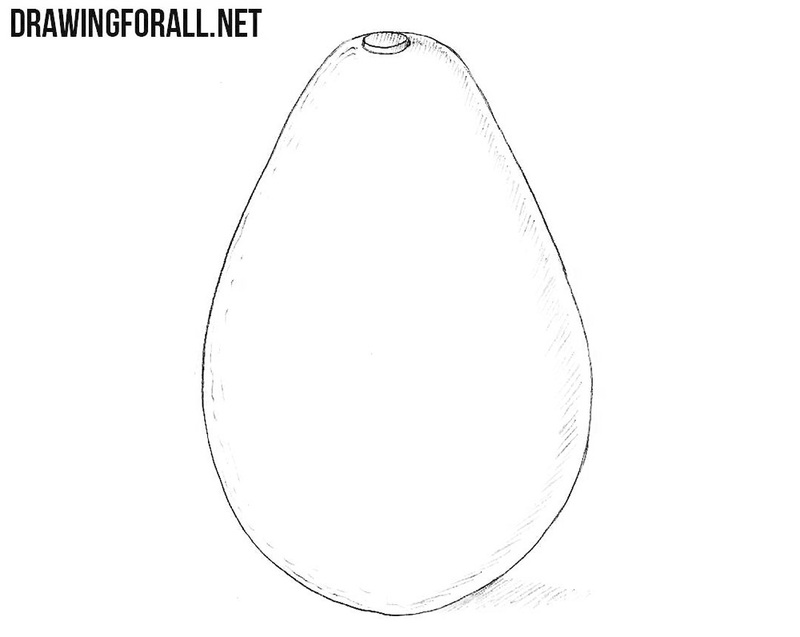 We draw in a simplified style so we decided to draw an avocado without a stem and leaves. Also, you can draw a stalk and several elongated leaves at this step. Avocados are never perfectly smooth as you know. Therefore, we now outline small, short, smooth lines on the left and bottom edges of the avocado drawing. Apply a light hatching to the right part to mark the shadows. You can also outline a shadow on the surface, to avoid the effect of a fruit hanging in the air. 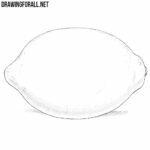 So, the drawing guide about how to draw an avocado is successfully completed, and you just have to consolidate your skills. To complement the drawing, and reach a higher level of skill, you can add more details. For example, you can draw an avocado inside a vase with apple and pear. 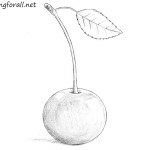 Create different versions of still lifes with this fruit and other items that you can also find on Drawingforall.net. 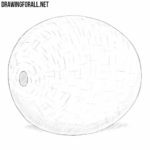 We only take a short break before drawing lessons that are truly challenging. If you want to quickly start new complex lessons do not forget to write about it in the comments. 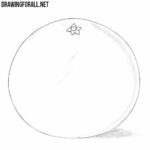 By the way, these simple drawing lessons are very useful for those who are just starting to work with geometric shapes. 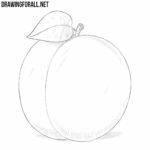 Do not forget that on our site there are many different fruits to draw. 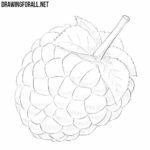 If you draw a few simple vegetables, fruits, or other things, it will be much easier for you to work with more difficult drawing lessons.